With the warmer weather on the horizon, many organizations will soon be undertaking onsite data collection activities: tree inventories, culvert inspections, hydrant maintenance, etc. 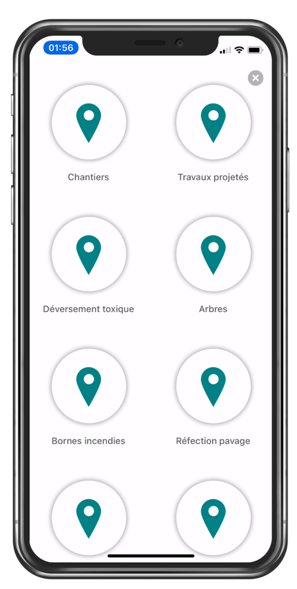 You can use the mobile application to track the progress of work assigned to a contractor. For instance, a contractor responsible for removing snow from fire hydrants in the wintertime could use JMap Survey to verify if the hydrants have been cleared. The application would validate this information by indicating the date and time the work was performed, and pictures could also be taken. From his workstation, the supervisor could track the progress of the work in real time and enforce any appropriate penalties related to the contract if the work is not carried out within the scheduled deadlines. 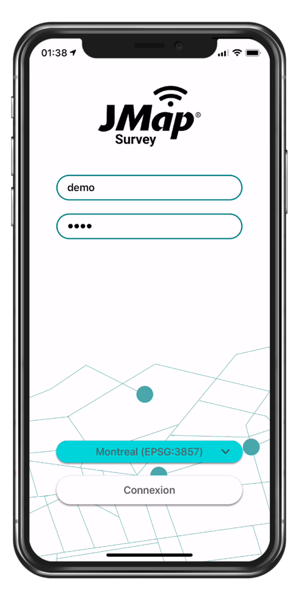 JMap Survey is a new mobile application from the JMap suite whose purpose is to simplify onsite data entry. The application is user-friendly and offers a simple and streamlined interface. 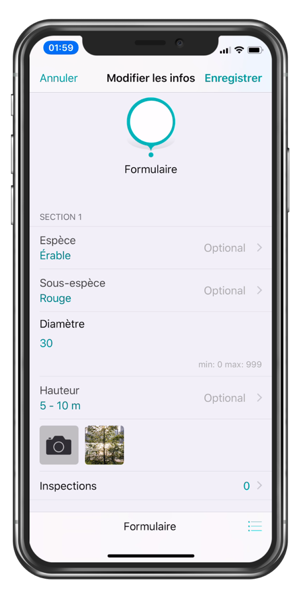 With JMap Survey, you can carry your entire JMap project on your smartphone or your tablet (iOS or Android). 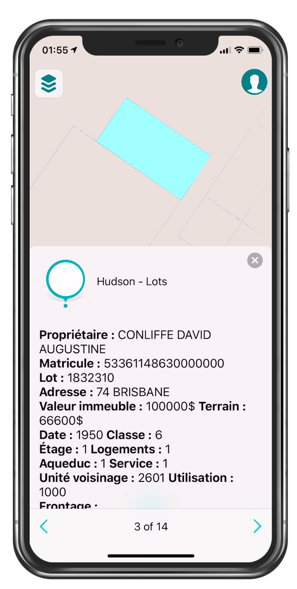 You can use it to view and query all of your map layers. No preparation steps are necessary in order to use JMap Survey. You can connect directly to your JMap project. When you use JMap Survey for the first time, you must create a server connection by entering the project name and the URL of the JMap server. You must log in with the JMap account you normally use. We recommend using projects consisting of no more than 150 layers to ensure good performance on mobile devices. This number may vary depending on the volume of data and the device’s capacity. JMap Survey is designed to be used with or without a network connection. 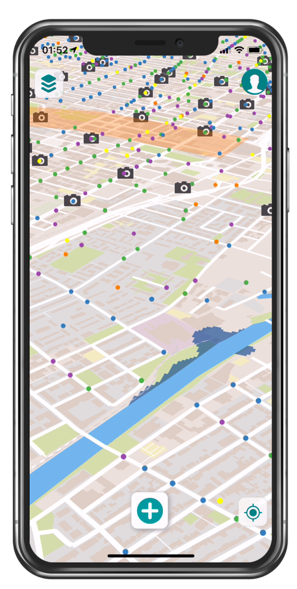 If you are in an area where the cellular signal is weak or absent, or if you simply want to save on cellular network costs, you can download the maps and data of an area in advance and do your work without worrying about your connection. 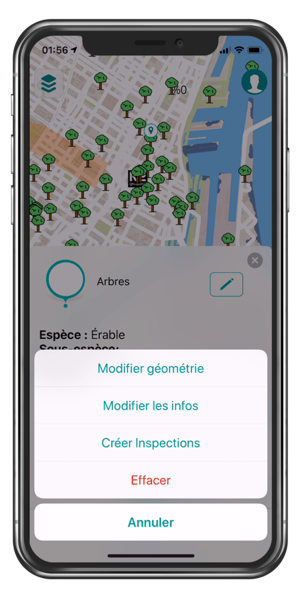 You will be able to view the map, and all the data you enter will be synchronized as soon as you have a connection. 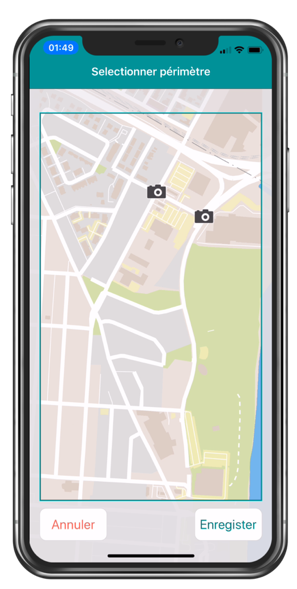 All map data, except for layers of photos, is stored on the mobile device as vectors. This ensures the display is fluid and performs well, while also optimizing interactivity. In addition, the compact file format used by JMap Survey offers very fast transfer times and makes efficient use of bandwidth. For data entry, JMap Survey supports the forms created in JMap Admin. The forms associated with your layers and all of their components (text fields, lists, check boxes, calendars, etc.) can be used with JMap Survey; no modifications are required. To create a new object, simply press the “+” button and choose the type of object you wish to create.